Search engine optimization is the way to pull large amounts of traffic (vistors) to your web site. First you'll need to find an effective search engine optimization company to make it happen, Perfect Websites is a full service search engine optimization internet marketing company. Search engines often index millions of pages for key words, and your website can be buried deep on page 100 or worse if it is not optimized properly. Building a website or adjusting a website so that it comes up on the first or second page of any search engine is what our SEO service does, and this is known as search engine optimization. If your page is not optimized it will not get a high ranking and you will not get results, no matter how many search engines the site has been submitted to. Search engines and directories are always changing the way they index pages on a continual basis making it necessary to develop an ongoing Internet SEO marketing strategy. Our team of search engine optimization experts will ensure that you are continually growing the amount of traffic that is directed to your site. We will write the meta tags for your page. (Meta Tags are the instructions for the search engine spiders (Robots). In some cases we will recode your web site according to web standards, a set of guidelines put in place by the World Wide Web Consortium (W3C). One of the important recommendations of web standards when creating a web page is to remove from the html file any code that describes the web page's appearance (fonts, colors, layout) and have all this presentational data in a separate file, known as a Cascading Style Sheet, known as a CSS file. Coding webpages according to web standards allows search engine spiders to access the content (words & phrases) on the page without having to filter through the mess of undesireable coding. Search engines are all based on words, and it's our companie's job to put the right words in the right places, so that the search engine may index your website under the right keywords or key phrases. Our SEO Service will also give you suggestions on modifications to your text and graphics that will also optimize the site. Sometimes your system of navigation may be working against optimum search engine results. We will alert you to any design problems and suggest solutions. Web standards play a key role these days. When the changes are in place then we will begin search engine submission. Remember that search engines handle 90% of the Internet's searches every day. Please understand that every search engine has a different ranking criteria and algorithm. 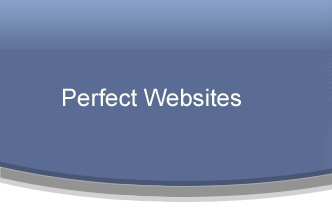 Perfect Websites understands the process and has the expertise to achieve long term results and higher rankings against your competitors, build traffic and gain profitable sales. You should not have to worry about your search engine positioning, your company will have enough to deal with from the results of being on top search engine listings our firm will achieve for you. Perfect Websites knows the secrets to search engine positioning techniques which will rank you higher than your competitors for a long time to come. The ranking methods of Google, Yahoo and MSN change approximetly every three months, so our Perfect Webistes can offer you monthly maintenance packages to make sure you stay up on top even though the search engine algorithms change. 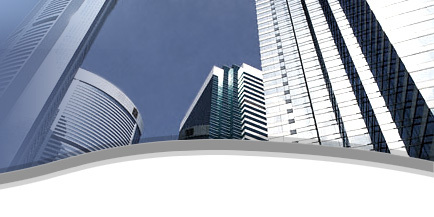 As a search engine optimization specialist, our firm is all about getting top rankings on Google, Yahoo and MSN. To make major money on the web, you have to get free traffic through search engine optimization. A good search engine optimization specialist will use all of the researched keyword phrases by recreating some of your individual pages on your site. The specialist will create proper SEO text for each of the keyword phrases. If you fail to take this approach, you will be missing out on the massive traffic available on the web. This search engine optimization process can take 12-16 weeks to be fully realized, the sooner you start optimizing our site the earlier you will see results.